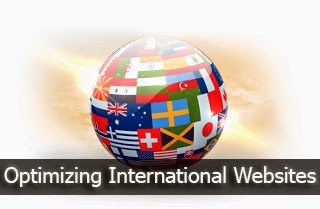 How To Optimize Your Site Homepage For International Audience? Businesses that operate in more than country or locale targeting different languages often deploy different websites, or different sections with language-specific content geared towards individual locales. While managing sub-domains and sub-directories with different URLs for this purpose is easy, it can be a bit tricky to have a common homepage for all these different locales. Here are some recommendations to help you create the right homepage on your website to serve the appropriate content to users depending on their language and location. Whenever users from different regions land on your website, you have a few options for handling them. The most obvious one would be to show the same content to everyone, regardless of their region. But that kind of defeats the whole purpose, doesn't it? You could also let the users select a preference. Many websites implement this technique, letting users choose the flag of their preferred language country. You could also serve content depending on the users' location. You can decide to serve specific content for one given country and language on your homepage. This is the 'default' setting. The idea is to have a separate URL for each language setting, with the homepage / generic URL having the default version of the content. For example, I could set up www.example.com for m English website, and anyone who enters this URL directly or searches for it specifically will see the website in English. I can then have separate URLs for French, Spanish, and German languages etc (for e.g. www.example.com/fr or fr.example.com). The point is, have a specific URL for each language, so that Germans can see the French version as well. You can later suggest the appropriate version to users based on their location. Sometimes, you never know what a user might want. A Chinese person sitting in Germany would probably still want the Chinese version of a website. So you decide to serve a country selector page on your homepage / generic URL. You must have seen this implemented on various websites that show flags of language countries, and let users choose which content they want to see depending on country and language. All users who type in that URL can access the same page. If you implement this scenario on your international site, remember to use the x-default rel-alternate-hreflang annotation for the country selector page, which was specifically created for these kinds of pages. The x-default value helps us recognize pages that are not specific to one language or region. A third scenario would be to automatically serve the appropriate HTML content to your users depending on their location and language settings. You will either do that by using server-side 302 redirects or by dynamically serving the right HTML content. Allow users to switch local version or language: you can do that using a drop down menu for instance. You should, of course, have separate URLs for each country and language version. Got questions? Feel free to ask in the comments below. Nice Article Carry on. Welcome to my new Blog. Computer Solution, Computer Tricks And Tips, Window Tricks, Facebook Tricks, Youtube Tricks, Video Tutorial, Make Money Online. Thank you Qasim, Really nice article. It helps me a lot..